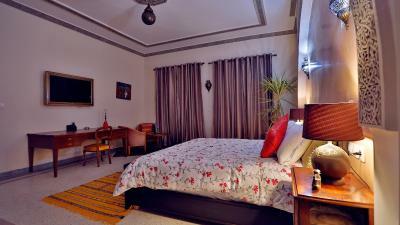 Lock in a great price for Riad Adahab – rated 9.1 by recent guests! 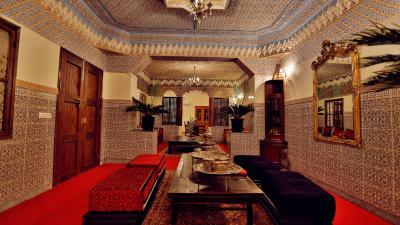 The stuff were very nice and hospitable, the riad was sparkling clean, very pretty and in traditional Moroccan style. We loved our breakfast there, definitely the best we had in Morocco! 100% recommend! 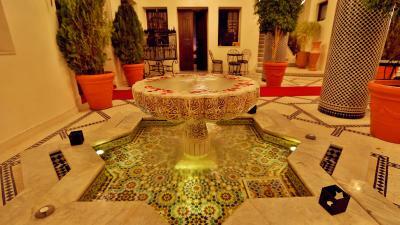 Very pleasant riad with a peaceful setting, I only spent three days in there but I enjoyed every moment. Easy to reach from the airport, for once I didn’t get lost!! 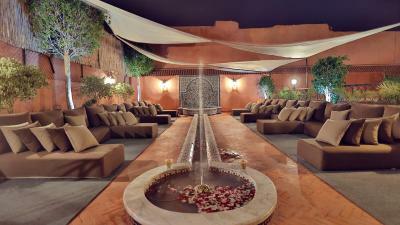 A modern interpretation of the classic Riad, compared to Marrakech for example. 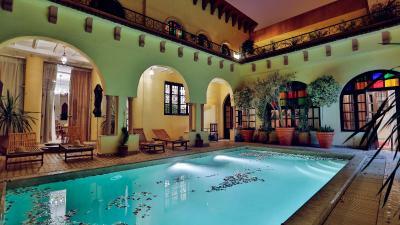 Comfortable and, as always, wonderful Moroccan hospitality. About a 1,5 km walk to the old part of the Medina. 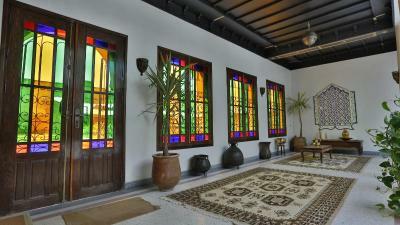 It is a great and well maintained place. Indeed superb and the staff is very friendly. Nothing less perfect is the right term for that place. 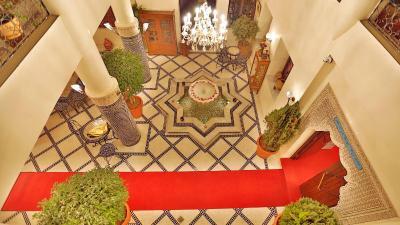 The whole riad has a very positive atmosphere. Clean, modern yet still rich in flavor. We felt very welcome and the staff was amazing. We really felt like we were home. 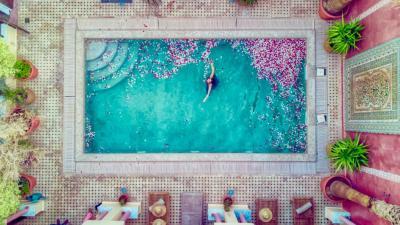 Excellet pool, bed and breakfast. See you next summer! Beautiful house, great rooms, good location, fun little pool, nice hosts and tasty breakfast. 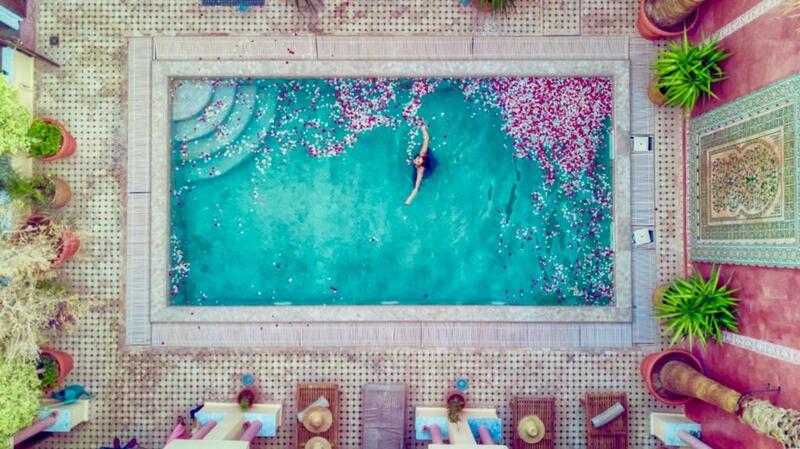 The swimming pool was excellent! !Nice breakfast and super friendly staff!!!! The bed and pillow were clean and comfortable. The bathroom was clean and refreshed. The staff was super lovely adhering to guests requests appropriatly. 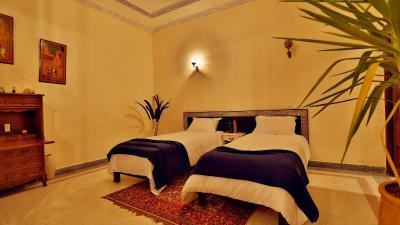 Haja Fatima and Manal were very hospitable and made sure your stay was looked after. The breakfast was supper, everything was fresh and taisty. 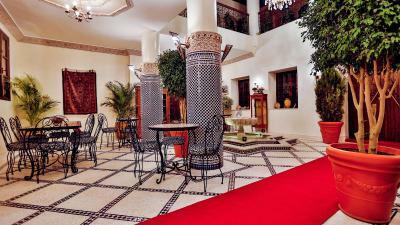 One of our top picks in Oujda.Riad Adahab is located in Oujda, 2.7 miles from Gorvernorat Museum. Featuring a shared lounge, this property also provides guests with a sun terrace. Free WiFi is provided. 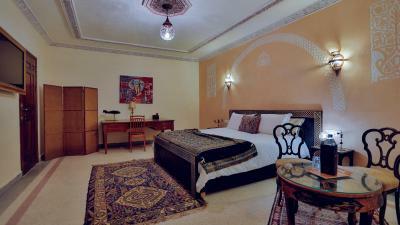 At the riad, the rooms have a desk, a flat-screen TV and a private bathroom. The rooms come with a seating area. 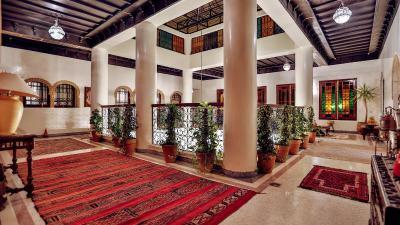 Guests at Riad Adahab can enjoy a continental or a halal breakfast. The nearest airport is Angads Airport, 11 miles from the accommodation. 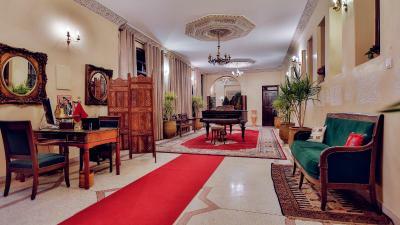 This property is also rated for the best value in Oujda! Guests are getting more for their money when compared to other properties in this city. 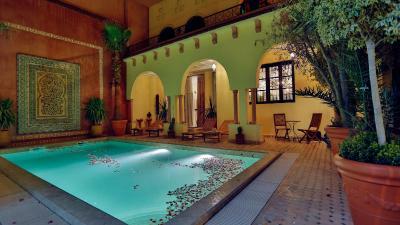 When would you like to stay at Riad Adahab? This twin/double room has a seating area, patio and private pool. This suite has a kitchenware, air conditioning and private pool. House Rules Riad Adahab takes special requests – add in the next step! Please inform Riad Adahab of your expected arrival time in advance. You can use the Special Requests box when booking, or contact the property directly using the contact details in your confirmation. Not much can be said on that side. If I really wanted to complain I would have said that it is not close to downtown. But would not be fair since the rise is not far either. The bathroom: it looks beautiful but is not very practical and we had very little water and no hot water when we wanted to take a shower in the morning. Genuinely beautiful place, great breakfast!